Mustard: We know it doesn't sound so tempting, but once you see this autumnal hue in action, you'll be reaching for it in no time. We reckon it all started with Beyoncé's Lemonade dress. Her billowing ochre chiffon gown from Roberto Cavalli shall forever be etched into music-video memory, and we're predicting it will be one of the most commonly copied looks for Halloween this year. Next up came confirmation from one of the most important A-list stylists on the block: Our contributor Cher Coulter (aka Rosie Huntington-Whiteley's right-hand woman) called out this shade as the most important of the A/W 16 season months back. The came fashion week, and with it, a shift in the weather, and every stylish girl turned her gaze away from the pretty pastels of summertime and into the sumptuous, golden spectrum of mustards. Punctuated with black or denim, this colour provides more nowness than most, and it's been wholeheartedly adopted by a savvy group that includes everyone from Arizona Muse to Caroline Issa, as well as French fashion editors and Italian street style stars. If you aren't convinced yet, look to the perfectly assembled outfits below, and then keep going to see some of the hottest mustard picks on the shopping planet. Style Notes: With a punchy pop of cobalt blue and a contrasting orange collar, Gilda Ambrosio makes this grandad-style knit look modern rather than old-fashioned. Style Notes: If you're feeling advanced in the mustard stakes, pair it with brown and watch your cred soar. Style Notes: Jane Keltner de Valle pulls this summery dress into more autumnal territory with a host of black accessories. Very chic. Style Notes: This Chloé blouse is so ethereal that it benefits from being worn in a tougher way—black denim is a very good place to start. Style Notes: Arizona Muse got the memo: Mustard and black are best friends forever. Style Notes: Caroline Issa treats her mustard pants as a kind of neutral piece, pairing wild prints together around it. A fabulous option for when you're bored with navy and black staples. Style Notes: Perhaps our favourite combination of all, Giovanna Battaglia has combined a bright mustard shirt with the leopard Dries Van Noten trousers on our current wish list. Style Notes: No retro getup is complete without a touch of this colour, as proven by Lou Doillon's natty Gucci scarf and shirt. Style Notes: Build up to the must-wear colour of the moment by first trying out a bag. 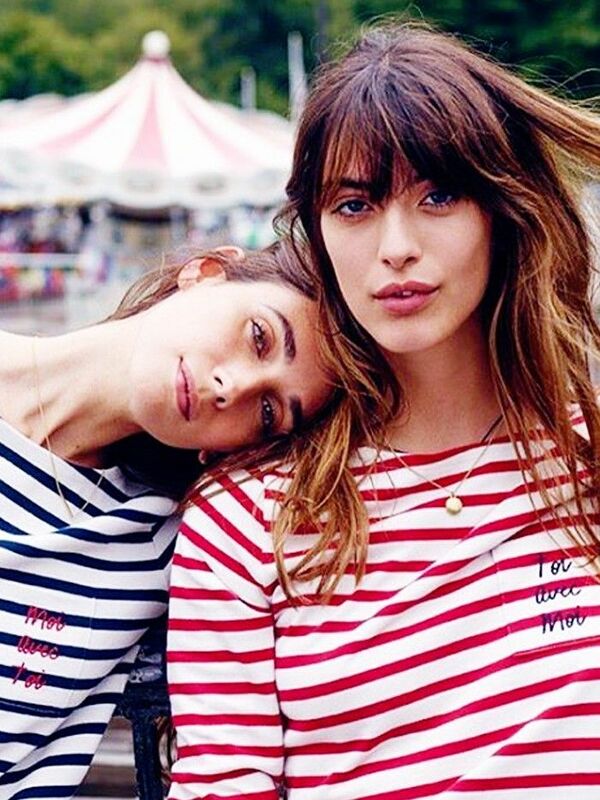 Yours doesn't have to be Chloé, but the brand is obviously a key provider when it comes to this trend. Style Notes: Eleonora Carisi isn't holding back on her love for the mustard. When the shade suits brunettes so much, why not? Style Notes: Go tonal like Jenny Walton and inject brown leather shoes, gold hoops and a wicker bag for good measure. Style Notes: Let your mustard dress do all the talking, and keep your extras pared back and super simple. Do the double whammy with a little velvet bag. These will be divine with denim. Do you have an autumn wedding to go to? The hue stands out so well against bright white. Fluffy sweaters always get our vote. We'd wear this with little zebra-print kitten heels. Agreed: Roll-neck layering is the right idea. This is what we call a "puddle leg" situation—and that's good. 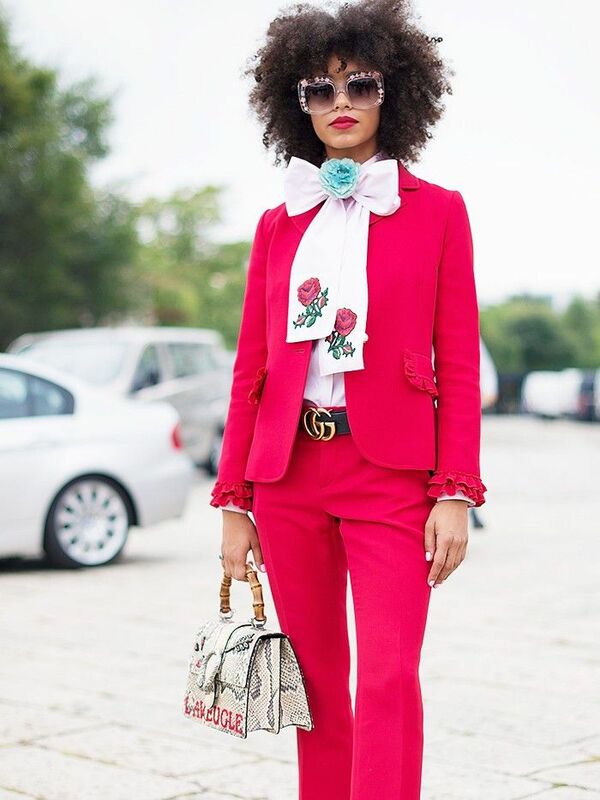 For more street style inspiration, see the chicest looks from Paris Fashion Week.